You had me at Adobo. Yes, this is such a fabulous seasoning and it’s amazing with this easy, homemade sauce. Simple ingredients…loads of flavor! Place the pork roast into the base of the slow cooker and season with salt and pepper. In a small bowl, combine the tomato sauce, brown sugar, garlic powder, chili powder and Adobo seasoning. Pour over the beef roast. Add 1 cup water to the base of your slow cooker. Set the slow cooker on low and cook for 8 hours. Once finished cooking, shred the pork roast with 2 forks and mix into the sauce. Spoon the shredded pork onto buns. 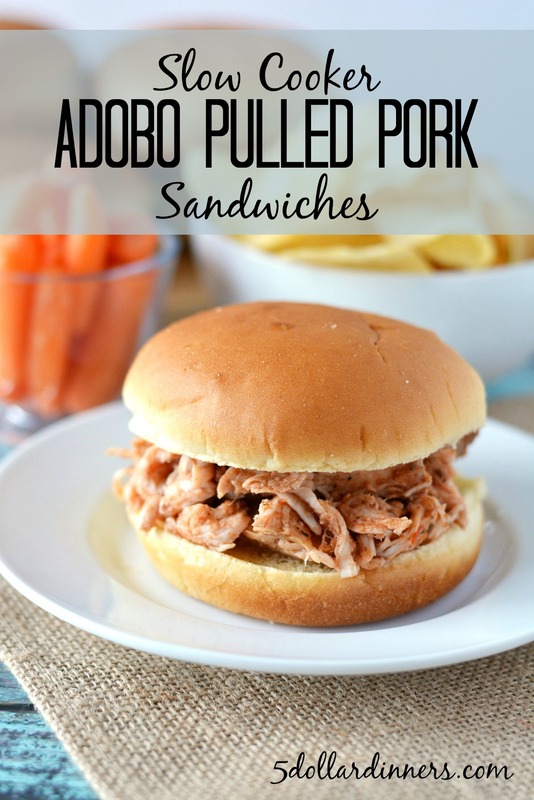 Serve Adobo Pulled Pork Sandwiches with veggies and chips. 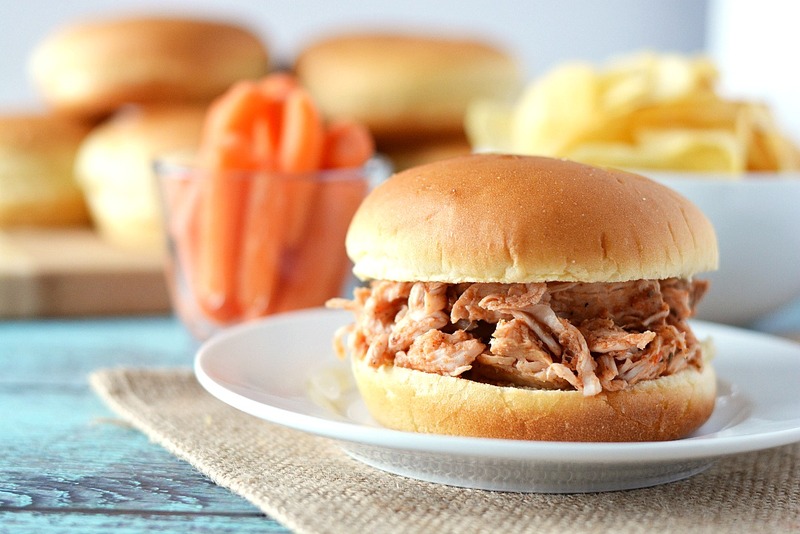 INSTANT POT: Add all ingredients except buns and side dishes to instant pot insert. Manual, High for 40 minutes. Quick Release. Shred the meat into the sauce and leave on warm until ready to serve.